Welcome to England, but don't lose your head! Russia, 2673. The Russian Revolution never happened and public enemy number one is Nikolai Dante. Sabre in one hand, vodka bottle in the other and a lady on his lap, Dante should be hiding off-world, but the planet isn't going to save itself. And besides, he loves living dangerously. When visiting Britannia, Dante is framed for a royal murder within minutes of arriving and the only way to escape the executioner's blade is to catch the real killer. Honour be Damned! 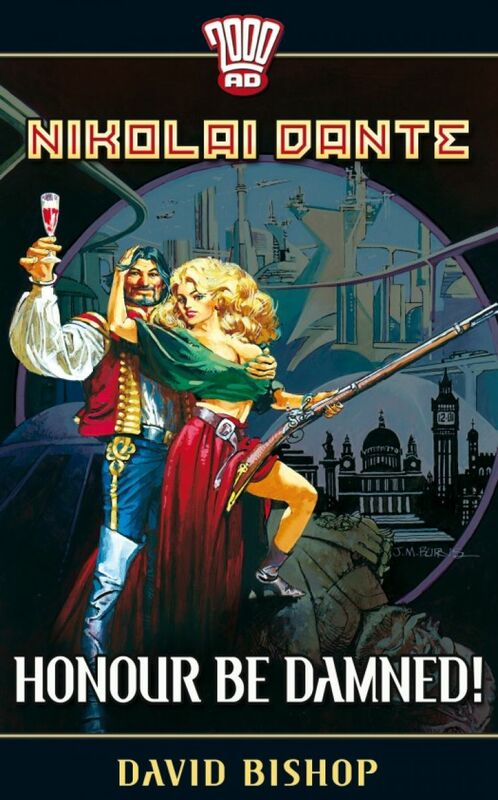 is a saucy swashbuckling romp and a good-natured dig at jolly old England.